You can spend a really special holiday with amazing panoramic views of the Dolomites, gourmet cuisine, dreamlike rooms and suites, swimming pool and spa garden! 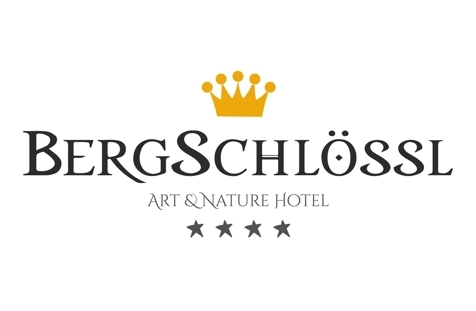 Welcome to Hotel Bergschlössl**** in Lüsen! From gourmet symphonies to royal well-being and music and art for creative spirits: Hotel Bergschlössl in Lüsen in Eisacktal offers plenty of possibilities for a very special holiday! On the one hand this is due to the unique position: The idyllic hotel is located at 1,040 m above sea level in front of the South Tyrolean Dolomites and therefore it offers amazing panoramic views. On the other hand guests will enjoy not only dreamlike guestrooms and luxurious suites, but also a panorama-pool, a spa garden, a sauna on the roof-terrace and many other particularities. Moreover the gourmet cuisine of Hotel Bergschlössl provides culinary pleasures that are like no others. Daily you will be spoilt with new creations of the local and Mediterranean cuisine, accompanied by first-class wines of the in-house wine cellar. The Hinteregger Family and the Bergschlössl team look forward to seeing you soon! Room finished in genuine wood , featuring native spruce and pear wood with a larch wood balcony. Bath robes and bag, telephone, TV, bath/shower, wireless internet. Room finished in genuine wood, featuring native larch wood with a larch wood floor and larch wood balcony. The bed is against the wall as in the traditional manner. Bath robes and bag, mini-bar, telephone, TV, bath/shower with natural stone tiling, wireless internet. Room finished in genuine wood, featuring native spruce with a larch wood floor and larch wood balcony with a fantastic view of the peaks of the Karspitz. The bed is against the wall as in the traditional manner. Bath robes and bag, mini-bar, telephone, TV, bath/shower with natural stone tiling, wireless internet. Room finished in genuine wood, featuring native spruce, larch wood balcony with a view of the idyllic Kirchl zu Flitt. Bath robes and bag, mini-bar, telephone, TV, bath/shower with natural stone tiling, wireless internet. Large room finished in genuine wood, featuring native spruce, semi-separated children’s bedroom, no balcony but instead a fantastic view through the large windows of the Dolomite peak of the Sass de Putia. Bath robes and bag, mini-bar, telephone, TV, bath/shower with natural stone tiling, bidet, wireless internet. Room finished in genuine wood, featuring native spruce with a large, covered balcony with a view of Wildbach. Bath robes and bag, mini-bar, telephone, TV, bath/shower with natural stone tiling, bidet, wireless internet. Room finished in genuine wood, featuring native spruce with large larch wood balcony. Bath robes and bag, mini-bar, telephone, TV, bath/shower with natural stone tiling, bidet, wireless internet. Room finished in genuine wood, featuring native Arolla pine and spruce with large larch wood balcony, telephone, TV, bath/shower with natural stone tiling, mini-bar, wireless internet, bath robes and bag. The individual suites vary (with either separate or semi-separate children’s bedrooms). Two-room suite, 1st room with larch wood floor, four-poster bed made of Arolla pine, large bath/shower with natural stone tiling, telephone, TV, fire, mini-bar, couch corner, connecting door; 2nd room with carpet, hot tub, water bed, reclining corner, WC and large larch wood balcony, wireless internet, starry ceiling at night. Suite on the top floor with larch wood flooring, open bath/shower, hot tub, natural stone tiling, telephone, TV, mini-bar, couch corner, WC, wireless internet, a roof sauna and a large larch wood balcony. 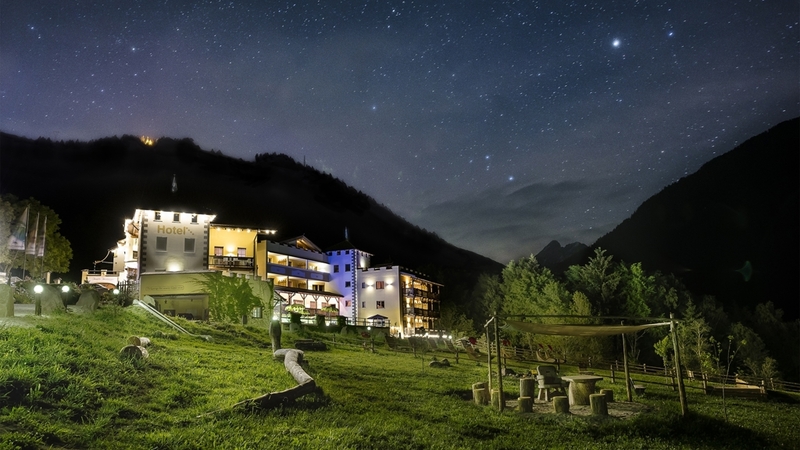 Two-room suite in rustic style ispired by the Dolomites and their legends. Includes large bath/shower with natural stone tiling, telephone, TV, show-fire, mini-bar, couch corner, WLAN. Enjoy private spa with whirlpool, sauna and relax swing. Terrace with panoramic view over Luson and to the Sarntal Alps. Two-room suite for a perfect alpine wellness stay appointed with lot of native wood. Includes large bath/shower with natural stone tiling, telephone, TV, show-fire, mini-bar, couch corner, WLAN. Enjoy private spa with whirlpool, sauna and hay-bed . Terrace with panoramic view over Luson and to the Sarntal Alps.